You know what word starts to look weird when you say it/type it/look at it too much? Ornament. Trying saying it five times and then tell me it doesn't feel weird to say! Orrrnamentttt. Anyway! 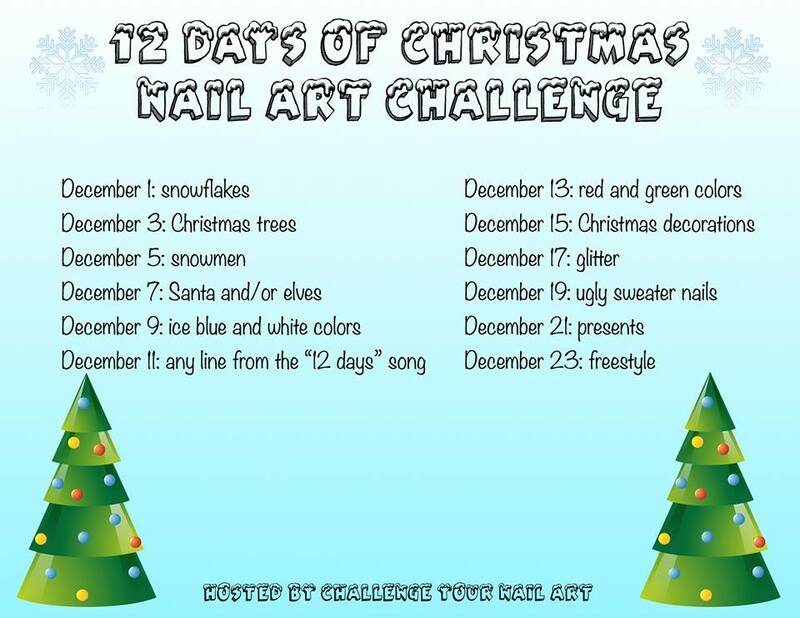 The reason I'm talking about ornaments is because today's fill for The 12 Days of Christmas Nail Art Challenge is for Christmas decorations, and I decided to do some stamping with an awesome new plate I was gifted by NailPolishCanada.com for the holidays! This mani started out because I loved the gold accent nail I did for my Christmas Tree nails so much that I wanted to use it again. If you don't remember I got this gorgeous gold look by layering three polishes: OPI Love.Angel.Music.Baby., OPI All Sparkly and Gold and Julep Oscar. Once my glitter bomb was dry I stamped it with Bundle Monster plate BM-H03 and Konad Dark Blue stamping polish and then sealed it with top coat. I loooove how the gold and dark blue work together, and I think the ornament design is just so delicate and lovely for the season. Let me know what you think! Thanks for visiting! 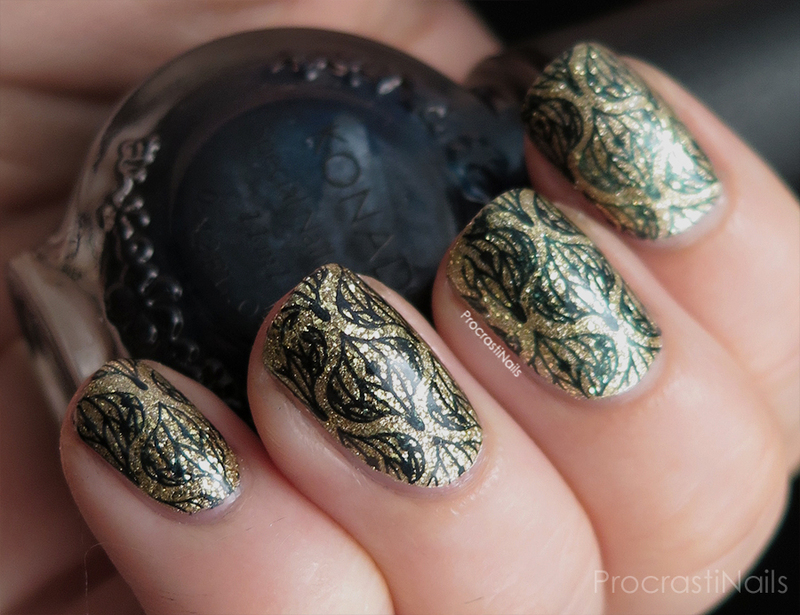 This is beautiful stamping, great job! Great color combination and I need that plate in my life! Who knew gold and dark blue would look so good together? This is lovely! This is lovely! 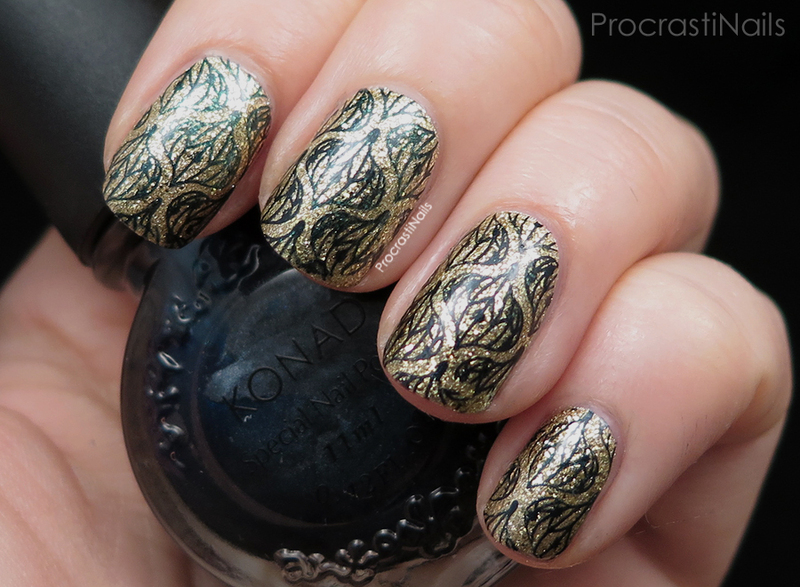 That gold is just stunning with the stamping. I really like this combo! 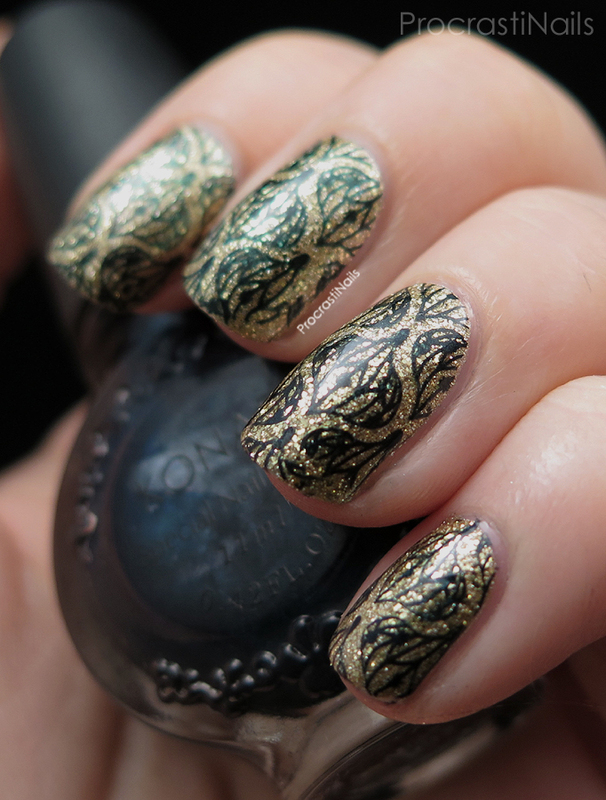 The stamping is just amaaaazing as well. Great job! Nice stamping plate choice! :D I love this black and gold combo, so chic!